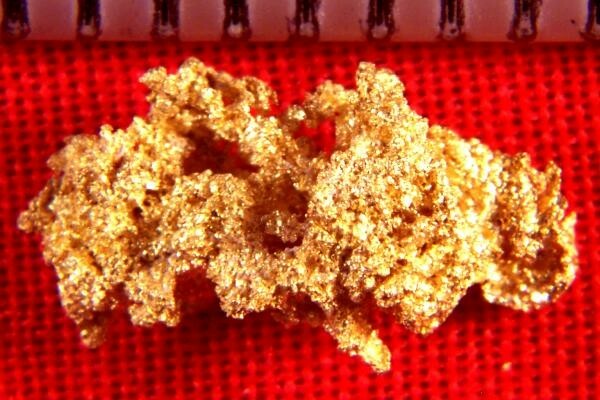 Weighing in at 9.3 Grains (0.64 Gram), this spectacular crystalline gold nugget from the Eagles Nest Mine is 7/16" (12 mm) long. It has an amazing fine textured surface and the color is gorgeous. 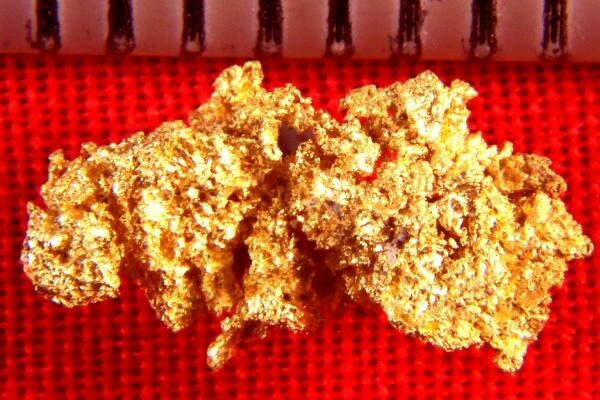 Eagles Nest gold nuggets are some of the most brilliant and gorgeous that you will find anywhere. They are hard to find for sale now because there has not been any gold specimens coming from the Eagles Nest Mine for several years. Add a few to your gold collection while they are still available.